Prove It! 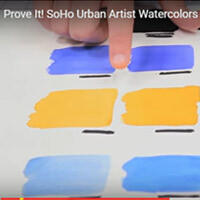 Do SoHo Watercolors Pack More Pigment Than Other Leading Brands? Prove It! In this segment of Prove It! 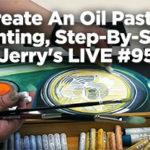 Mikey G will test the claim that SoHo Urban Artist Watercolors have a higher pigment load than other leading brands! 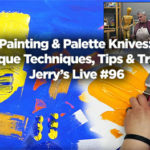 Can you really use two-thirds less paint and achieve the same color coverage? Is 7ml of SoHo Watercolor as opaque and saturated as 20ml in another brand? Watch the…..